Alone in his room, Jeremy draws a monster. But then the monster wants lunch! As his creation takes over, Jeremy begins to wonder how he will ever get rid of the monstrous nuisance. He entertains his unwanted guest all day, but enough is enough. Jeremy finally draws him a bus ticket out of town! With a sure artistic touch and more than a dose of humor, Peter McCarty cleverly blurs the line between his own drawings and Jeremy's, and in doing so subtly questions the line between reality and imagination. 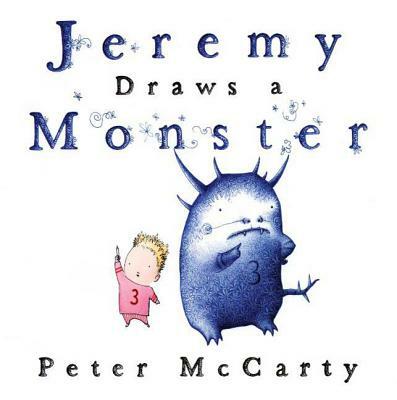 Peter McCarty is the author and illustrator of T Is for Terrible, Baby Steps, Little Bunny on the Move and Hondo and Fabian, for which he won a Caldecott Honor. He lives with his wife and two children in Upstate New York.